Meet Dr. Gaudet. He's not just a dentist. His employees sing his praises on Glassdoor. He pays a big dental assistant salary. He'll even fund your continuing education. But under his framed print about flossing sits a laptop crammed with 250 resumes for dental assistants. Yours is somewhere in the middle. How can you get him to notice you? A dental assistant resume example better than 9 out of 10 other resumes. How to write a dental assistant resume that will land you more interviews. Tips and examples of how to put skills and achievements on a dental assistant resume. How to describe your experience on a resume for a dental assistant to get any job you want. 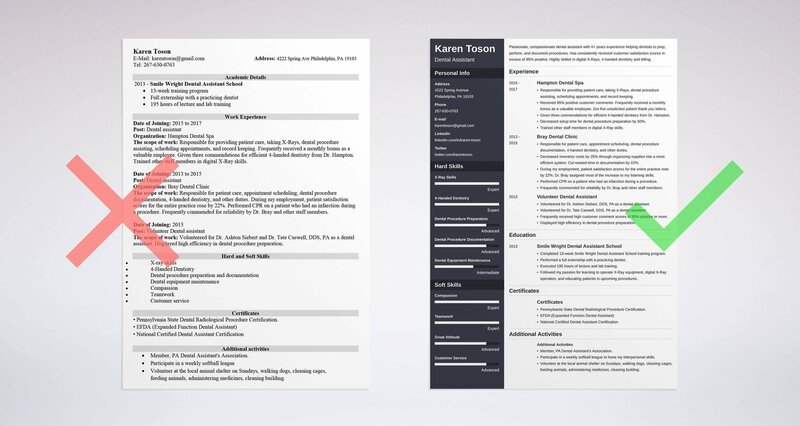 Here's a sample resume for a dental assistant made using our resume builder. Dental Assistant Resume Example - See +20 resume templates and create your resume here. What's the Best Format for a Dental Assistant Resume? What happened? 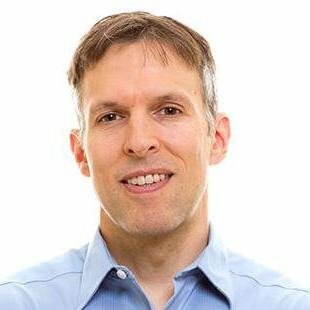 Why didn't that awesome dentist with the great reputation want to hire you? Was it something in your flawless dental assistant resume? For starters, what resume format did you use? The reverse chronological format shows your best assets first. That's a big win, because most dentists spend just six seconds looking at each resume. Use lots of white space, big headings, and clear, legible fonts. Oh, and save your dental assistant resume in the PDF format. Why? MS Word files look different on different computers. PDFs look the same everywhere. Make it easy for recruiters to find your dental assistant resume. How? Give it an appropriate file name like Jane_Smith_dental_assistant_resume.pdf. That way, if all resumes end up in one folder, you’ll avoid the whole dental assistant vs dental hygienist confusion and won’t get overlooked. Pro Tip: Make sure the dentist accepts PDFs. Some use Applicant Tracking Systems (ATS) that'll choke on them. How can you know? Check the job description. Want to make sure the reverse reverse-chronological format is really the best choice? 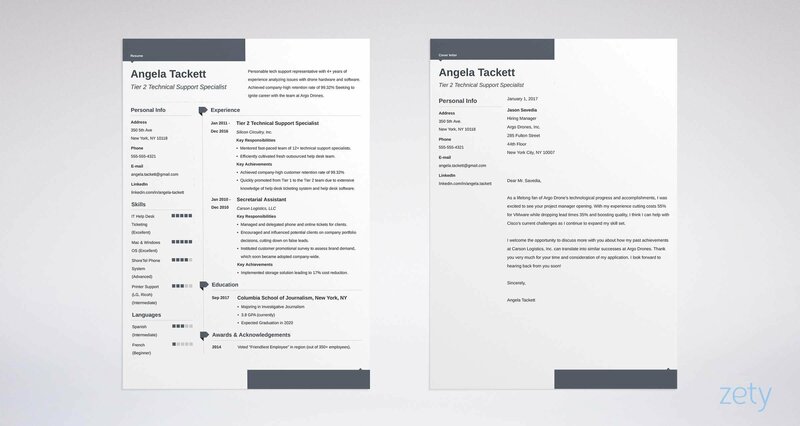 See our guide: "3 Resume Formats: How to Choose the Best One [Examples]"
You want your dental assistant resume to put the dentist to sleep like a dose of nitrous. If you answered, "false," you've won the nine-foot pink teddy bear and the shopping bag of cotton candy. Just don't forget to floss. The goal is to wake up that bored dentist and rock him forward on his toes. That's the part that flashes all your best and brightest moments. But which one should you use? And how do you write it? You use a resume summary if you've got buckets of experience. You use a resume objective if you're still gleaming from dental assistant school. Look at the dental assistant resume samples below. Experienced dental assistant. I've helped with prepping and documenting dental procedures. People like me and I've got a great attitude. What's wrong with that you say? Nothing, until you stack it up next to 200 other resumes for dental assistants that all say the same. Then it blends in like Wonder Woman's invisible jet. We want it to stand out like her red-gold strapless armor. Compassionate dental assistant with 4+ years experience helping dentists prep, perform, and document procedures. Has consistently received customer satisfaction scores in excess of 95% positive. Proven track record for decreasing setup times for procedures. Highly skilled in digital X-Rays, 4-handed dentistry, and billing. See that? Our dentist is guaranteed to stop thinking about his golf handicap. His eyes will start tracking again for the first time in hours. I'll show you how to do it in a minute. First let's look at the dental assistant resume objective. It's for those who lack experience. Registered dental assistant seeks work with competitive salary. Not a lot of experience so far but I'm willing to learn. Not bad, right? But sadly, it's as effective as taking a bitewing half a foot too far left. But wait. How did an entry-level dental assistant get experience like that? She did it by getting certified, volunteering, and joining a local professional society. These are Elon Musk-level moves that take very little time. I'll get into that more in a bit. Pro Tip: Your resume summary or resume objective is the finishing touch on your dental assisting resume. Write it last so you'll have plenty of material. Remember Dr. Gaudet? Our dentist among dentists? He cares about one thing in a dental assistant resume: experience. If you don't, flaunt it anyway. First, make a master list of every job you've ever had. For each one, list every achievement you can think of. Awards, kudos, responsibilities, achievements. Basically anything that shows you've got sparkle. Now. For this dental assistant resume experience section, start with your most recent job. Pick 4-6 "wins" from your master list and add them as bullet points. Look at the two dental assistant resume samples below. Responsible for providing patient care, taking X-Rays, dental procedure assisting, scheduling appointments, and record keeping. Received 95% positive customer comments. Frequently received a monthly bonus as a valuable employee. Got five unsolicited patient thank you letters. Given three commendations for efficient 4-handed dentistry from Dr. Hampton. Decreased setup time for dental procedure preparation by 50%. Trained other staff members, including dental hygienists, in digital X-Ray skills. Wow. Our fantastic dentist just spilled his coffee. He was trying to grab his cell phone to call you. Notice that it references 4-handed dentistry. That's a huge skill for chairside (Level I) dental assistants to master. It's miles better than the dental assistant resume sample below. Provided patient care, took X-Rays. Received good customer comment cards. Set up for medical procedures. Performed digital X-Rays on patients. Yipes, right? It's missing all the toothy details. And let’s be honest: the dentist reading your resume knows the dental assistant’s duties and responsibilities. He wrote the job description in the first place. What if you don't have all that experience? What if you're just starting out? Experience is very important in resumes for dental assistants. In a very short time, even a new job candidate can get plenty of experience for a dental assistant resume. First, consider volunteering. It's easy to land volunteer work, and even a few days can take a resume from zero to hero. Second, join local associations. It's worth it for the networking alone. Beyond that, associations look great on a resume. Finally, if you did an externship, list it in your education section. Dental Assistant Experience: Not much experience yet, but willing to learn for good hourly pay! You know where that entry level dental assistant resume is headed? Volunteered for Dr. Ashton Siebert, DDS, PA as a dental assistant. Volunteered for Dr. Tate Caswell, DDS, PA as a dental assistant. Frequently received high customer comment scores of 95% positive or more. Displayed high efficiency in dental procedure preparation. Job shadowed at two orthodontic assistant jobs. That's not a dental assistant. It's Bruce Lee with a face shield and latex gloves. But it only took a few days. The takeaway? With a little effort, even an entry level dental assistant resume can look like the sample above. Pro Tip: If you did an externship, put it in your Education section. If you join a professional association, put that in your Additional section. More on those soon. Add punch to your professional dental assistant resume with action words. Don't have any? Use ours. See this guide: "+80 Examples of Resume Action Words for Every Profession"
Dental assistant school doesn't take long to complete. But it can be the one thing the dentist notices. Completed the dental assistant training program. Got good grades in my classes. OK, so it's got tires and an engine, but it won't win any contests. And it won't turn a dentist's head. Completed 13-week Smile Wright Dental Assistant School training program. Performed a full externship with a practicing dentist. Executed 195 hours of lecture and lab training. Followed my passion for dentistry. Learned to operate X-Ray equipment, including digital X-Rays, Excelled at educating patients in upcoming procedures. Now that dog will hunt. Anyone can dress up a dental assistant resume experience section like that. It just takes a little thought. As an added perk, consider highlighting the length of your degree. After all how long does it take to become a dental assistant? In some states it takes nine months. In others, two years or more. If you're on the long end of things, remember to write up your extra prep work in your resume. Pro Tip: If you really want to get noticed, learn to make different dental assistant resumes for different job descriptions. See our guide on how to tailor a resume to a specific job offer. To make your dental assistant resume turn heads like a newly-whitened smile, see our guide: "How to Put Your Education on a Resume [Tips & Examples]"
Let's peek in on our dentist friend again. He's in his office. It's late at night. He's glancing at resume after resume, then moving on to the next. Generic experience, and even more generic skills. Then he comes to yours. He stops. He leans forward. First, you used the right skills keywords. They got you past the Applicant Tracking System. Second, you listed skills that matter to this dentist. Third, you proved your dental assistant skills in your experience and education sections. Let's start with a real world dental assistant job description. The salary is $42,000 a year. For skills it lists compassion, efficiency, organization, teamwork, dental procedure prep, Digital X-Ray skills, and experience with Invisalign. So, you list those on your resume. But you add other skills like CEREC experience, patient communication, and flexible scheduling. Why? Because you don't just want to tell the dentist exactly what he wants to hear. Responsible for dental procedure prep, assistance, and documentation. Duties included patient interaction and education, plus taking digital X-Rays. Increased customer satisfaction scores by 25%. Got especially high marks for compassion, empathy, and listening skills. Assisted with mixing materials daily for Invisalign applications. Decreased procedure prep setup time by 35%. So, you say you have the skills the dentist wants, then you prove it. You can also weave your skills into your education section. Here's a short list of real world dental assistant resume skills to get you started. Build skills into your dental assistant resume using the steps above, and you'll have dentists tripping over their A-decs to hire you. Pro Tip: Don't just use the skills above. Dig through dental assistant jobs on LinkedIn to find more for your resume. When you see one you have, add it to your master list. Need more help with your dental assistant resume skills list? See our guide: "+30 Best Examples of What Skills to Put on a Resume (Proven Tips)"
The highest paid dental assistants have the right certifications. You may have a national CDA certification and/or a state certification. You might have a dental X-ray certification, radiation certification, nitrous certification, or other certifications and licenses. How do you show them in your dental assistant resume? Put them in a separate section of your resume titled "Certifications." Put the most important one first, such as a national or state dental assistant certification. Then follow it with supporting certifications like X-Ray, radiation or even CPR. Finally, put awards or honors in this section too, either from school or from previous dental assistant jobs. Texas State Dental Radiological Procedure Certification. Listing your certifications beneath your education section lets a dentist know you're qualified at a glance. Not sure what certifications and education you need? Luckily, the American Dental Association (ADA) has a page for dental assistant education and certification. Pro Tip: Join a local dental assistant association. They can help you build your resume by cluing you in to the best certifications to have. Let's put the cherry on top of your dental assistant resume sundae. We'll do that by adding a "hobbies" or "interests" section to showcase your special employee superpowers. We won't just say you're passionate, hardworking, and dedicated. Don't water it down with "I like cats" type stuff. Instead, use details that prove you're worth your weight in gold fillings. Member, PA Dental Assistant's Association. Participate in a weekly softball league to hone my interpersonal skills. Volunteer at the local animal shelter on Sundays, walking dogs, cleaning cages, feeding animals, administering medicines, cleaning the building. Take yoga classes twice per week to stay centered and healthy. What dentist could resist hiring a dental assistant with all that on his resume? The best part is, it doesn't take much effort to build an interests section like that. Note the association membership. Joining a local association looks great on a resume for a dental assistant. But that's only one reason to join. The networking you'll get as a member will open up great job opportunities you never knew existed. Associations are money well spent. Pro Tip: You can have a "hobbies" section, an "interests" section, or an "activities" section, but keep the title to one topic for the sake of automated Applicant Tracking Systems. Want more tips to build the perfect hobbies or interests section for your dental assistant resume? See our guide: "+20 Best Examples of Hobbies & Interests To Put on a Resume (5 Tips)"
Remember our dream employer? Dr. Gaudet? He hates cover letters. Right? At least 40% of recruiters consider cover letters essential. So even if the other 60% skip them, you still need to write one. The good news is, it's not hard to write a great cover letter to go with your dental assistant resume. First, address the dentist (or hiring manager) by name. Second, show your enthusiasm for the job. Explain briefly why you'd love to work there. Third, say why you'd be a great fit. Mention your greatest achievements. Last, add a "call to action." That's as simple as saying, "I'd love to talk more with you about your needs. You can reach me with the contact info below." Pro Tip: After you send your dental assistant resume, follow up! A well-timed email or phone call can make you stand out among all the other applicants. Need concrete advice for how to write a dental assistant cover letter? See our guide: "How To Write A Cover Letter [Complete Guide With Examples]"
Putting contact info on a dental assistant resume is simple. Isn't it? Ten years ago, that was all anyone needed. Today, it helps to include your Twitter handle. LinkedIn profile, and other electronic addresses. 87% of all recruiters use LinkedIn as the only way to find new candidates. For that reason, you must have a LinkedIn profile, and it must show your best self. For tips on how to make that happen, see our guide on how to optimize a LinkedIn profile here. Pro Tip: One bad moment online can turn a dentist off. Give your dental assisting resume a fighting chance with our guide to cleaning up your online presence. Need more samples and examples to help you build the best dental assistant resume you can? See our guide: "How to Make a Resume: A Step-by-Step Guide (+30 Examples)"
Custom fit your resume to each job description. First, build a master list of all your achievements. Then use that to round out your dental assistant resume templates. Use numbers to give weight to your achievements. Numbers make a dental assistant resume stand out from the pack. Show your certifications and hobbies in separate sections. Finally, remember that a resume for a dental assistant isn't finished without a cover letter. For more help, follow the dental assistant sample resume at the top of this guide. Got questions or tips about how to make a professional dental assistant resume? Give us a shout in the comments section!